Constantly changing legislation in the field of health and safety means that many companies struggle to keep up with their legal obligations. How do you provide training for all staff to carry out tasks safely and effectively? Where do you turn for help with statutory requirements? How do you ensure that staffs are sufficiently informed about their rights and responsibilities? Target Zero’s specialist health and safety consultancy services are managed by experienced consultants who are trained to provide unrivalled support to businesses throughout the UK. Our health and safety consultants will meet the individual needs of any company, no matter how large or small. Target Zero’s training & consultancy services present a diverse range of health & safety consultancy solutions. Offered as standalone solutions or as part of a package, many of these services are also offered free of charge as part of our professional safety advisory service. Providing both generalist and specific advice, our experienced consultants are able to give advice and guide employers in complying with their health and safety legislation. Our experienced consultants will also provide guidance and practical advice in the establishment of effective health & safety policies, from the amendment and update of existing policies, through to bespoke customer specific documentation. Target Zero offers a one-stop shop for your health & safety consultancy requirements. A short summary of some our services provided is provided below. For a free no-obligation quotation, or to arrange your site visit, please contact us for more information on 0333 4440018. Formation of bespoke safety policies, COSHH, manual handling, working at height etc. Contact us for further information on any of our consultancy services, or if you wish, one of our consultants can contact you to discuss your individual training needs. Target Zero are CITB registered providing professional safety advisory services with a quality support service on an annual fee basis or an agreed hourly rate. With Target Zero on board you will receive the following services below. Unlimited free year-round telephone & email access. Unlimited free access for one-to-one meetings with our consultancy team. Free places on safety training courses. Free Tender Questionnaire Compilation (CHAS/Construction Line). Use Target Zero name and supporting information for tender submissions to demonstrate that they have access to competent Health & Safety Advice and Support. Assisting with Reporting of Accidents/Incidents to the HSE – We will provide assistance in preparing and filing the appropriate reports to enforcement agencies. Free safety training needs analysis & business planning service. Free access to the safety information resources. Unlimited free tailored extensive company documentation. Unlimited free periodical information updates as new legislation / issues require. Unlimited free assistance and advice on CDM regulations as required. Unlimited free access to the legal advice line and information services of the Institute of Occupational Safety and Health (IOSH). Target Zero also offer a full bespoke consultancy service and subsequent support on a retained basis. This can be tailored to provide the most appropriate effective solution to meet your company needs. Our services are covered by full public liability, employers’ liability and professional indemnity insurance. 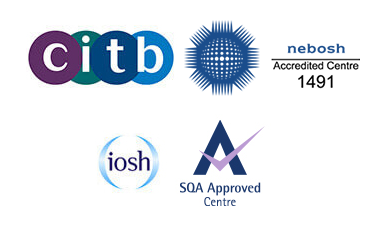 Our consultancy team are members of IOSH, CIEH, APS, IIRSM, we are an IOSH, CITB, NEBOSH registered consultancy practice and training centre, and we are OSHCR registered consultants.